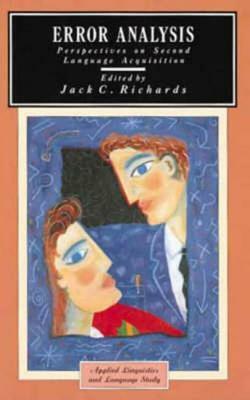 Jack C. Richards - Born in New Zealand, Dr. Richards obtained a Master of Arts degree with first class honours in English from Victoria University in Wellington, New Zealand, in 1966. He obtained his Ph.D. in Applied Linguistics from Laval University (a French-Language University) in Quebec City, Canada in 1972.He has worked in many parts of the world, including New Zealand, Canada, Indonesia, Singapore, Hong Kong, and the United States. After completing his PhD, he taught in Indonesia and was then appointed specialist in applied linguistics at the Regional Language Centre Singapore, under the auspices of the New Zealand Government. Later he was Senior Lecturer in English at the Chinese University of Hong Kong, before being appointed full professor in the Department of English as a Second Language at the University of Hawaii in 1981. In 1989 he returned to Hong Kong to set up a new department of English at the City University of Hong Kong, where he was head of the department of English and also chair professor. In 1996 he returned to his home country for two years to set up an MA program at the University of Auckland. In 1999 Dr. Richards retired from full-time university teaching and administration and since then has taught for part of each year at the Regional Language Centre (RELC), in Singapore, while making his primary residence in Sydney, Australia. At RELC, Dr. Richards teaches in the MA in Applied Linguistics program, as well as the RELC Post Graduate Diploma in Applied Linguistics.Dr. Richards is a frequent speaker at conferences and workshops for language teachers, and visits some 12 countries every year.He has written over 60 articles and 20 books. Many of his books and articles are classics in the field of second language teaching and have been translated into many different languages, including Spanish, Chinese, Korean, Japanese, and Arabic. Among his well known professional books are Error Analysis, (1974), Reflective Teaching in Second Language Classrooms (1996, with Charles Lockhart), Beyond Training (1998), The Language Teaching Matrix (1990), Curriculum Development in Language Teaching (2001), Approaches and Methods in Language Teaching (second edition 2001, with Ted Rodgers), Longman Dictionary of Language Teaching and Applied Linguistics (4th edition 2010, with Richard Schmidt) and Professional Development for Language Teachers (with Tom Farrell), Cambridge University Press 2005.Professor Richards has for many years made himself available as a speaker at many professional conferences without a fee, and supported scholarship programs in different parts of the world. In recognition of this the Presidents of De La Salle University, Manila and of Philippine Normal University, Manila, presented Professor Richards with a citation in 2001 which states: “Generous in sharing his expertise with junior members of the profession, unstinting in his efforts to promote excellent language teaching in all parts of the world, indefatigable in showing the applications of theory to teaching practice in the classroom, Dr. Richards is a fine example of what English language education and applied linguistics can accomplish.”In December 2011 Dr. Richards was awarded the honorary degree of Doctor of Literature by Victoria University, Wellington, in recognition of his contributions to English language teaching and the arts.In 2011 Dr. Richards was made an honorary professor in the Faculty of Education at the University of Sydney, Australia.